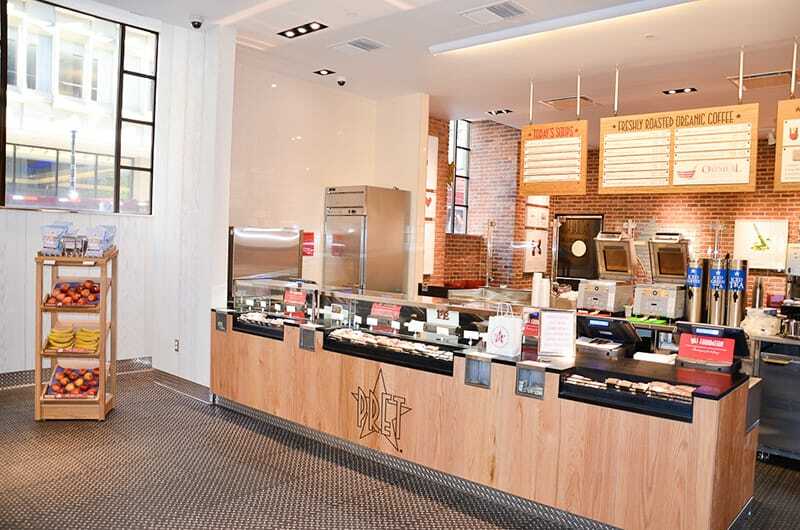 Gilbane is Building Pret A Manger Locations throughout Metropolitan Areas in the U.S.
Pret A Manger, a London-based worldwide retailer offering homemade, natural food, has over 240 shops in the UK and 50 within the United States. Pret plans to continue to expand its locations throughout metropolitan areas. 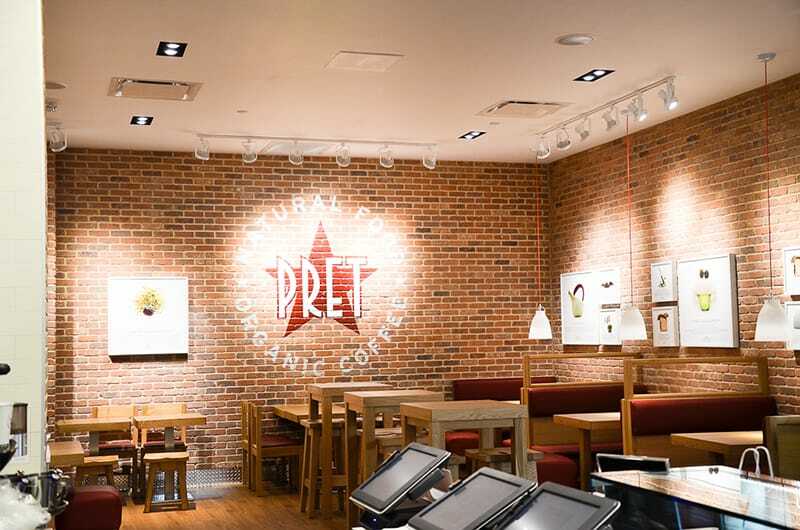 Gilbane was hired by Pret a Manger to provide construction management services for its new locations throughout the country for the emerging restaurant brand. Shops consist of an interior fit-out ranging from 1,500 square feet to 3,500 square feet. Working within a tight schedule, Gilbane partners with Pret a Manger to fully understand the company’s unique needs. Gilbane adhered to high-quality standards and sharp attention to detail. The stores feature custom finishes, including millwork, stone, wood flooring, lighting, storefront and signage. Hungry? 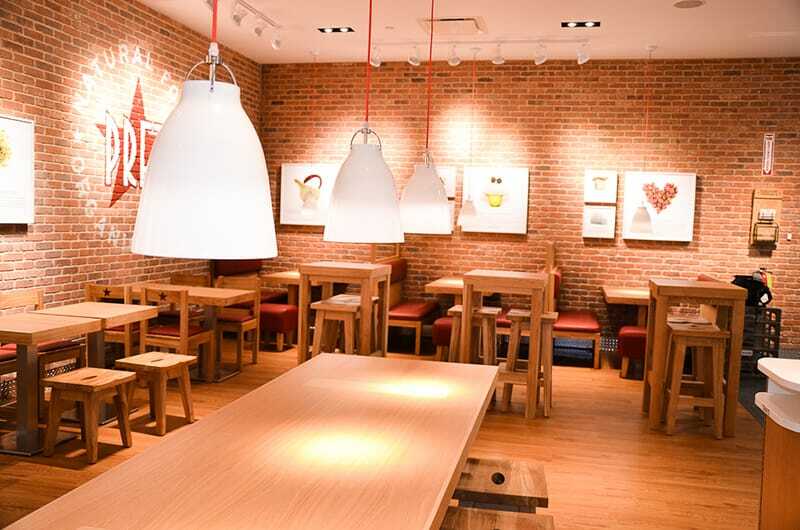 See if there is a Pret A Manger location near you.